Call me traditional, but when the twins were born I had every intention of sending out birth announcements to our closest friends and family. 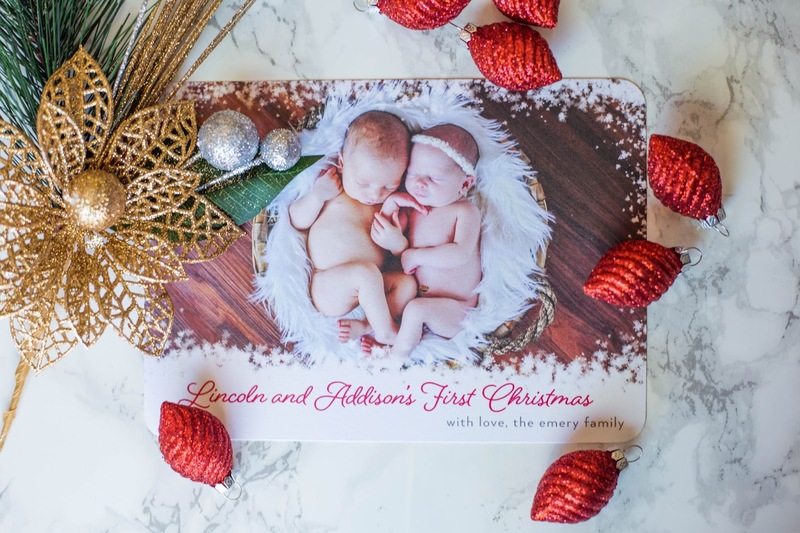 I even had a secret Pinterest board full of lots of cute twin birth announcement ideas. But then.... life happened. And when I say life, I mean taking care of the two tiny newborns I mentioned. (Don't ask me about anything that happened in August, because I have no idea.) The birth announcements never happened, until a few weeks ago when I realized I could combine them with my Christmas cards this year. I am a huge fan of Christmas cards. At my family's house, we cover the entire double doors leading outside with cards we've received from our friends and family. It's just fun to walk past and look at everyone and what they've been up to that year. We love the letters, we love the tri-fold picture collages, we love the single picture cards, we love it all. So here's our family's holiday card this year. 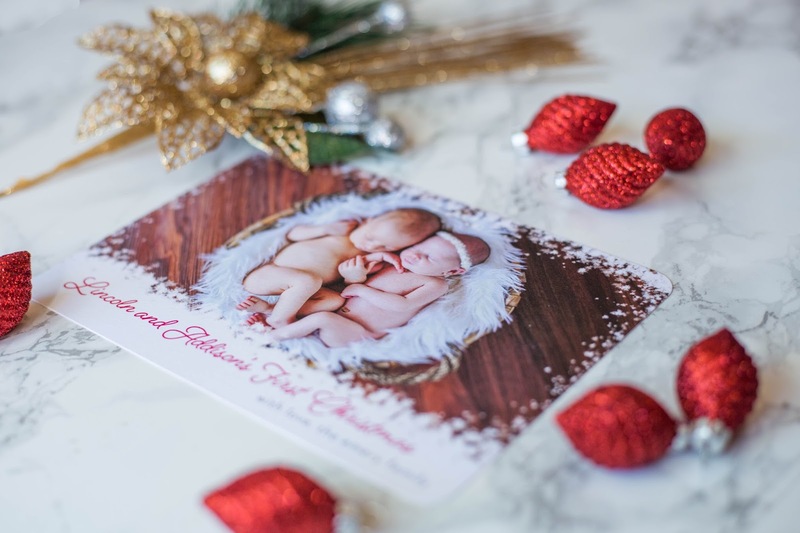 It's a hybrid of holiday wishes and a birth announcement for the twins. 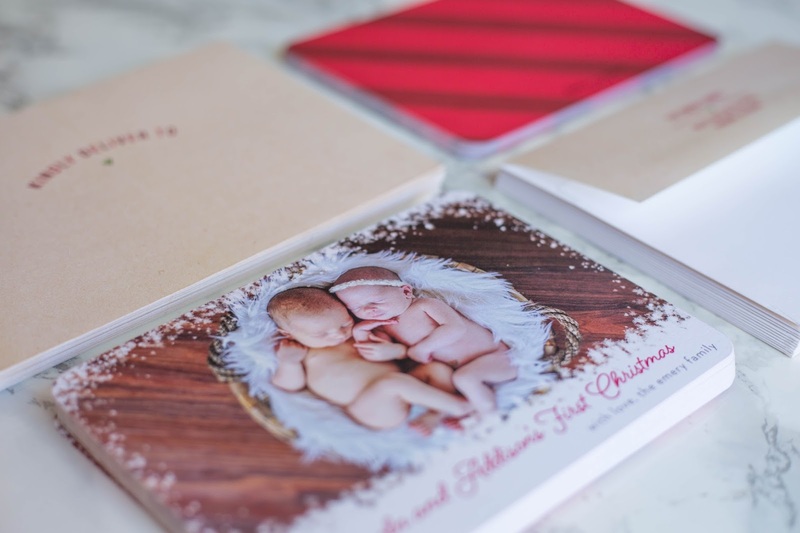 We wanted something understated, simple, and classy, and Tiny Prints delivered. I could have spent hours on the Tiny Prints website designing my card, and they would have been very very happy hours. 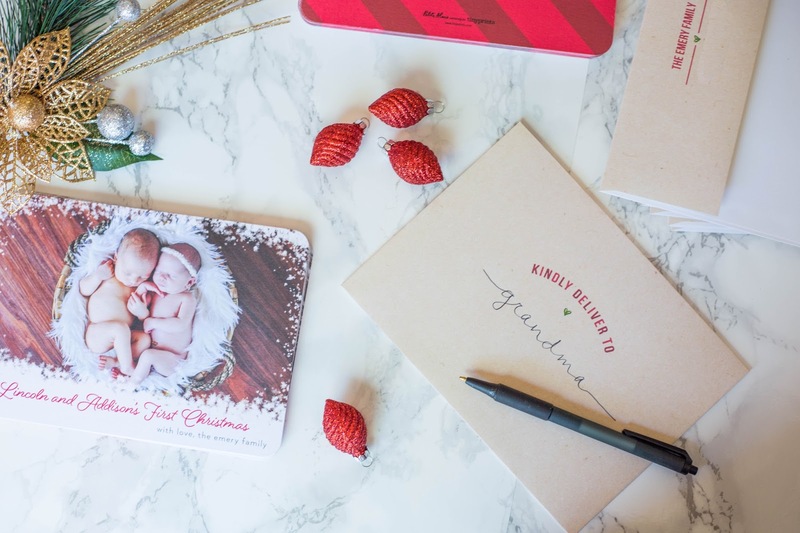 ;) The options for your holiday cards are almost endless, and I love that you can sort by how many pictures you want in your card. We almost went with a rose gold foil stamped card, and I love their glitter card collection too because the glitter doesn't leave a trail everywhere you go. We definitely had this fun year in review card in our cart at one point. I'm kind of sad that I had to blur out our return address on these cards, because they had a million customization options for the card and the fonts we chose are 100 times cuter than anything I could have hand addressed. Get the customized postage too for added cuteness (and to save yourself a trip to the post office to buy stamps). 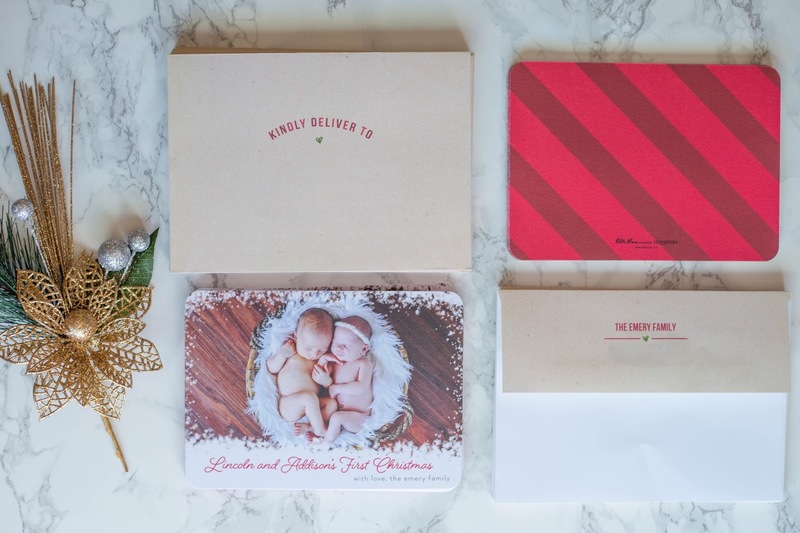 I also love that my newborn holiday card purchase helps provide money for Baby2Baby - an organization that provides necessities to children in low-income households. So happy holidays, and happy birth announcement, from our family! P.S. Anyone want a holiday card? but I have a few extras for my readers!